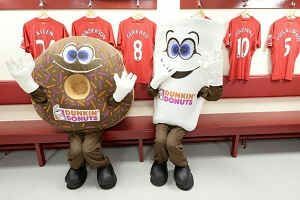 Meet our “Name the LFC Donut” Contest Winner! Earlier this year, we announced a fun Twitter contest in celebration of our exciting new partnership with Liverpool Football Club (LFC). We created a very special LFC-themed donut and asked DD and LFC fans alike to do one very important thing – Help us name the LFC Donut! We received a number of amazing donut names and had a tough (but fun) job narrowing it down to one; but after much deliberation one name stood out from the rest – The LFC Kicker! 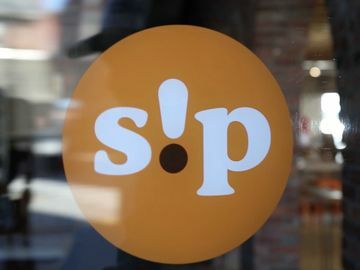 Now it’s time to meet the creator behind this wonDDerful name, Bianca Palumbo of Boston, MA! Hi Bianca! Congrats on winning! 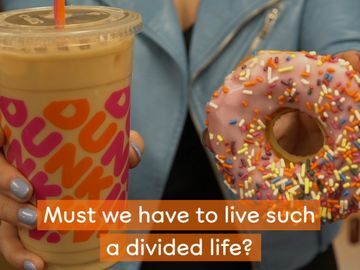 First thing’s first, how long have you been a Dunkin’ fan? Forever! 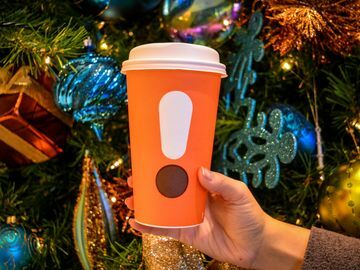 I have memories of going to Dunkin’ Donuts as a little kid with my father and I’ve continued to be a Dunkin’ fan ever since! How sweet! 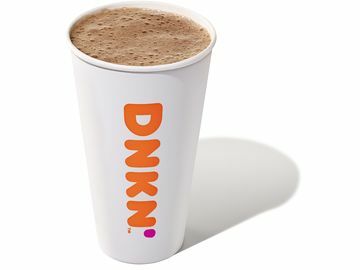 Since you’re clearly a DD expert, what’s your favorite Dunkin’ beverage and food order? As far as food goes, I can’t get enough of the Cheese Bagel Twist. However, I am also a Dunkin’ Donuts Iced Coffee lover through and through. I have tried (and loved) all the different flavor shots and swirls, but for some reason I always return to keeping it simple with the Original Blend. Yum! Now onto soccer. How long have you been a fan? Are you also an LFC fan? I used to play the sport all the time when I was younger, so I’m definitely a soccer fan. I was also a huge cheerleader for the World Cup and am looking forward to the women’s World Cup next year. Every year I find myself watching more and more soccer (both international and MLS) and would always cheer for LFC when I see them playing. After winning this contest, I’ve become a full blown LFC fan and can’t wait to see them play live at Fenway! I bet! What was your inspiration behind the “LFC Kicker” name? I took some time brainstorming and really thought about it for a while until I eventually came up with “LFC Kicker.” I thought it was easy enough to say and remember, and I thought it was extremely catchy and fit with the LFC-themed donut. AgreeDD! Are you looking forward to your VIP trip for two to attend the pre-season match between LFC and AS Roma? What are you most excited about? I’m actually from the Boston area so am always excited when I get the chance to visit Fenway Park. I plan on either taking my boyfriend or my brother since they’re both major soccer fans and love to watch the Premier League. The only live soccer game I’ve ever been to was for the New England Revolution which was really fun, but I’ve heard that LFC matches are particularly electric so I can’t wait to experience it for myself. Either way this will be the first live game with two international teams that I’ve ever had the opportunity to go to, so am very excited to experience it firsthand! For winning this contest, Bianca scored an all-expense paid VIP trip for two to Fenway Park in Boston, to see the pre-season match between LFC and AS Roma, on Wednesday, July 23. Twelve other “runner ups” were selected to win a $100 mGift. Not too bad for naming a donut! The LFC Kicker is a jelly-filled yeast shell featuring a soccer ball design in white and red icing, representing LFC’s iconic colors. 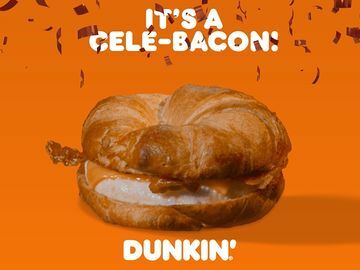 This donut will be available in select participating Dunkin’ Donuts restaurants nationwide for a limited time in July, so make sure you try one while supplies last! Have you spotted the LFC Kicker? Snap a pic and share it with us on Facebook, Twitter and/or Instagram! We’d also love to see pics of you cheering on the team while they’re statesiDDe, so share away!